Hello! Thank so much for taking the time to stop by and get to know a little about me! 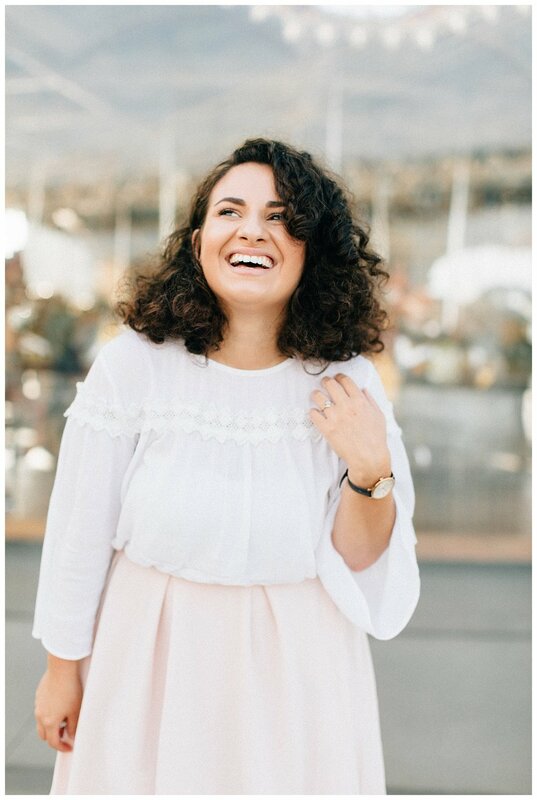 I'm Kayla, a dog loving, curly haired, wedding and lifestyle photographer. Most days you can find me in Marshals smelling every single candle they have or in the kitchen baking new recipes I find on Pinterest. I’m known for always having a smile on my face and my go with the flow personality. My style is soft, intimate, & genuine. I’m super passionate about my job, because it’s not just a career choice for me, it’s a lifestyle and really a dream come true to do what I love. I photograph people who desire to have their story told in a meaningful way. I am lucky to give them a gift that is worth a lifetime of smiles, love, and memories. As a photographer, I have been featured on Brooklyn Bride, Inspired by This, & Martha Stewart Weddings. When I’m not working on your sweet memories, you can catch me watching throwback movies (Space Jam anyone?!) bumming it on the beach or taking a stroll in my favorite neighborhoods. Of course, I love traveling, and have had the privilege of visiting some of the most culturally diverse places including the Philippines, South Africa & Hungary to name a few. If you’re dying to hear more, here are a few fun facts about me! I was born and raised in Brooklyn NY which I still call home. I said “I do” when I was just twenty years old. As a kid, I wanted to be a photographer for national geographic. I genuinely enjoy getting dressed up for Halloween, and I have the most spoiled Jack Russel named Gus.